Like any other business, farmers strive to be as efficient as possible, especially when it comes to planting. But before farmers start taking passes across the field, there is plenty that needs to be done. While a corn planter may not look like a complex piece of equipment, creating a perfect seedbed requires the precision of a Swiss clock and much goes into its maintenance each spring. Sensors, chains, trash wheels, springs and many other mechanisms all play vital roles in making sure that each seed is being precisely placed. Precision equipment and GPS technology now play a major part in achieving yield and efficiency goals as farmers write prescription maps to automatically adjust seeding rates (plant population) across the field. Precision technology can also tell certain rows of the planter to stop planting if they happen to overlap onto a row(s) that have already been seeded. The technology can also record how the planter is performing when in operation so that farmers can make adjustments to further improve accuracy. Further advances in planter technology are allowing farmers to plant multiple hybrids throughout the field as soil types and conditions may favor one line of seed genetics over another. Using these precision tools and performing planter maintenance is extremely important to any farmer who not only wants to maximize his or her productivity, but also keep costs down as seed corn prices are very expensive costing over $100 per acre (over $300 per bag). 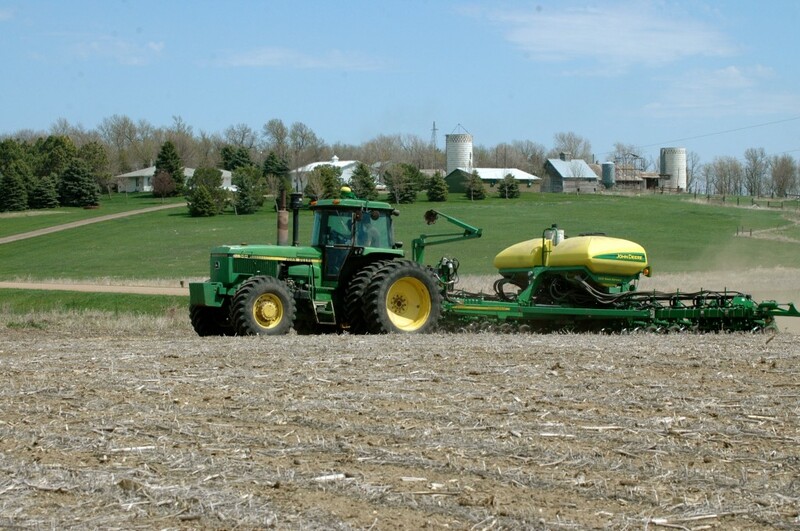 This entry was posted in News and tagged #plant14, corn, farmer, plant, South Dakota. ← Corn Comments 4.7 – Woster’s fuel of choice?